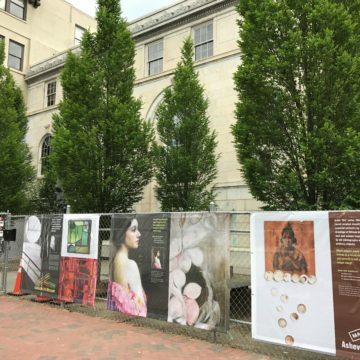 As the Asheville Art Museum is under major construction to build the new Asheville Art Museum in the heart of downtown Asheville, we have installed a series of banners on the fence that surrounds the construction at 2 South Pack Square. The banners feature a number of works from the Museum’s Permanent Collection, along with information about some of the artists and focuses of our Collection. 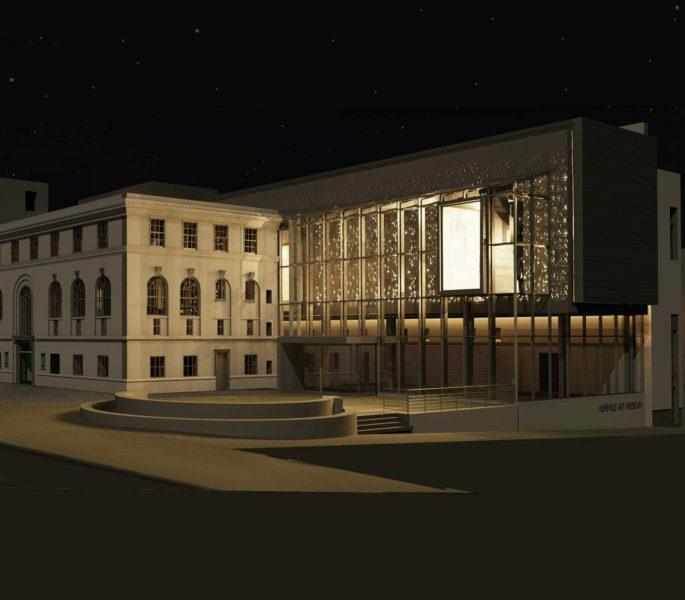 We encourage you to stop by the construction site to view the art banners, share your thoughts on social media in response to the questions you see, and get an up-close look at the new Museum being constructed at one of the most vibrant locations in our community.